1. 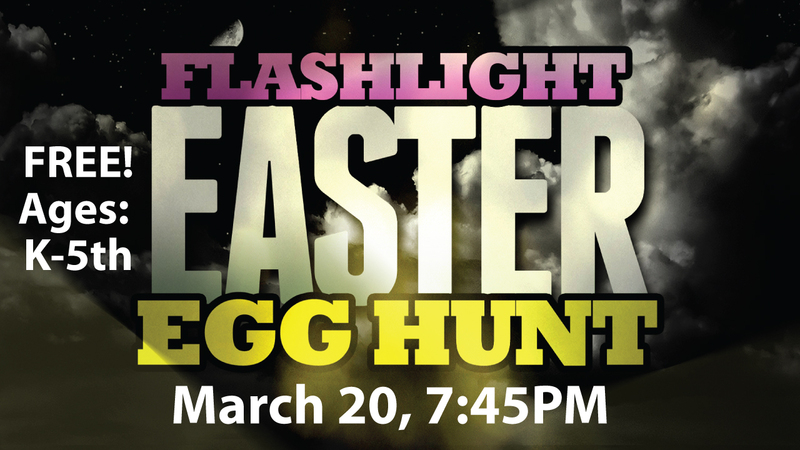 The Flashlight Easter Egg Hunt is tonight at 7:45. It’s for elementary age kids, and it’s FREE. We have 5000 plastic eggs. Most of them are filled with candy, but several of them are surprise eggs with cool prizes. The prize that has gotten most of my attention is an old school big wheel green machine. As a kid, I had a big wheel. My little brother got the upgraded version, the green machine. As the younger sibling and baby in the family, he always got things a little earlier in life and nicer than me but that’s a story for another day. I’m not bitter or anything. 2. We will have 4 identical worship services on Easter Weekend (April 4-5). We will have 2 services on Saturday night (5:00PM and 7:00PM) and 2 services on Sunday morning (9:00AM and 11:00AM). The services will still last around 1 hour, but we are allowing more time between services to help with traffic flow. If you could attend one of the Saturday night services to free up empty seats on Sunday morning, we would greatly appreciate it. BTW, our creative team has an incredible service planned as we celebrate the resurrection (the defining moment of Jesus’ life) of our Lord and Savior Jesus Christ. 3. The HVAC is being installed in the Walton Building. PRAISE GOD! 4. Today is our annual march madness lunch with Matt Harvie. Many of you have been asking me about Matt. I think he’s doing pretty good. He and Kellie are now empty nesters with all 5 of their kids graduated from high school. 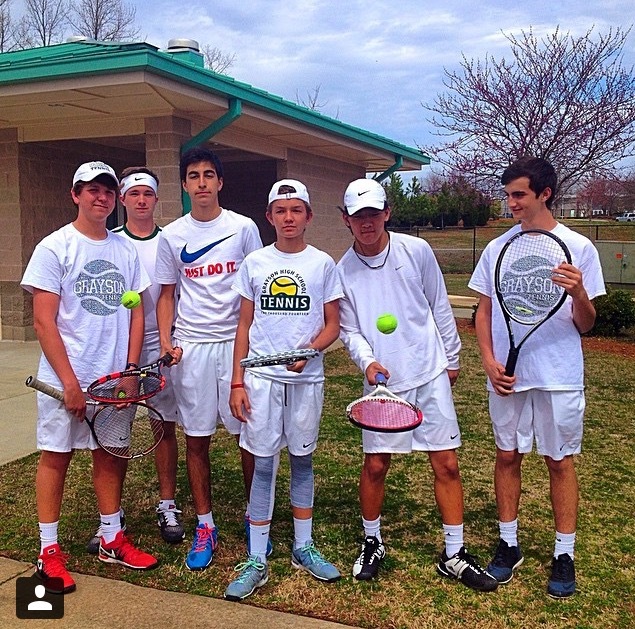 Their youngest, Matty, is on a tennis scholarship at Covenant College on Lookout Mountain. He’s winning most of his matches and was recently named “Rookie of the Week”. Matt always picks Ohio State to win March Madness. I have picked Kentucky like most of the world. My final four in the Graystone staff pick em contest is Kentucky, Duke (I think), Virginia, and Arizona (I think). I may have picked Wisconsin and the Zags. I filled out multiple brackets in the span of 5 minutes. But I didn’t pick 99 brackets like Tony Dudish always does. I really didn’t even want to pick a bracket because it gets busted every year. But my competitive nature lured me into the family and church contests. I’m glad LSU has a great baseball team. How about Austin Meadows getting BIG LEAGUE action? Wow! I am so proud of him. 5. On a personal note, Joelan and Julia are having a great tennis season playing for Grayson High School. Julia is playing #1 singles and Joelan is playing #2 singles. Both of their teams had wins this week over South Gwinnett and Archer.